Before we jump into explaining our new technology, we should probably provide some background information. 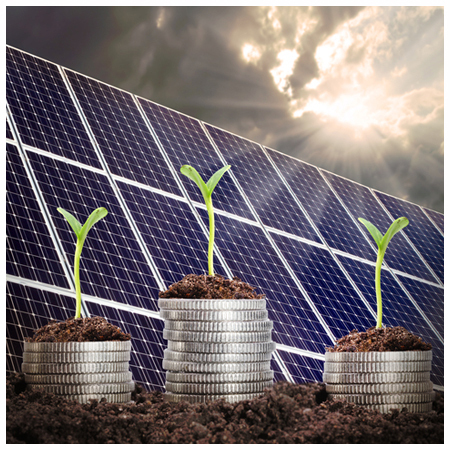 Photovoltaic refers to the process of taking light and converting it into energy. The process occurs when photons of light excite electrons into a higher state of energy which allows them to act as charge carriers for an electric current. This is made possible through the use of two different categories of photovoltaic materials: inorganic and organic. All solar photovoltaic systems fielded to date use inorganic materials, with crystalline silicon being the most common, by a wide margin. Other inorganic technologies include Cadmium Telluride and Gallium Arsenide, among others. Organic photovoltaics are in the development stage. Organic refers to any solar cell material that contains carbon. The use of organic materials in solar photovoltaics presents opportunities for revolutionizing the form factor and cost structure of solar power. Our approach to photovoltaics is completely breaking the mold of previous solar cell technologies. By redefining the materials, architectures, and fabrication processes of solar cells, we aim to drastically reduce the cost and improve the efficiency of both inorganic and organic photovoltaics. Our inorganic technology provides a process to make the most efficient solar materials (Gallium Arsenide) flexible and cost-effective for broader applications, while our organic photovoltaic technology focuses on developing the next generation of solar, unencumbered by today's limitations and burdensome cost structure. Known to be the highest performance solar technology available, Gallium Arsenide, or GaAs, is also extremely expensive. Its high fabrication costs have prohibited its use except for in certain specialty applications such as space and military. With our patented architecture and fabrication process for GaAs technologies, NanoFlex can enable its manufacturing partners to produce these ultra-high efficiency solar cells at a fraction of the previous cost. Find out more about our breakthrough in GaAs technology. NanoFlex Power Corporation's organic photovoltaic technologies aim to revolutionize the way solar technology is manufactured and applied. NanoFlex is developing OPV materials, architectures, and fabrication processes that have the potential to redefine the cost structure and application of solar photovoltaics, starting at the molecular level. 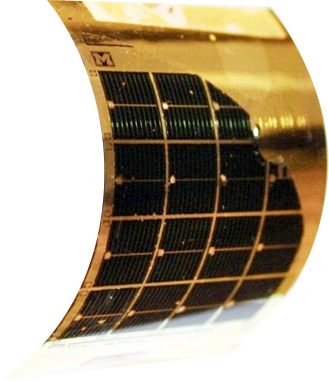 Find out more about how our OPV technology can expand the scope of solar applications! NanoFlex Power's sponsored research programs have resulted in an extensive intellectual property portfolio. These patents address a several foundational technologies and establish us as a gatekeeper for the implementation of low-cost GaAs and OPV technologies. Want to Learn more? Contact us today for more info!